This peaceful relaxation-trance music flows with a gentle shamanic spirit inviting us into the heart of being. Prayerful flute melodies, relaxed heartbeat drumming and chants lead us on a magical journey. 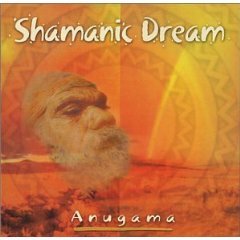 Shamanic Dream is especially suitable for trance meditations. A heartbeat drum accompanies the continued low repetition of the mantra "So Be It". The second part is a journey through and meditation on the chakras, the energy centres of the human body.